REDUCED!!! Spacious 3313 sq. 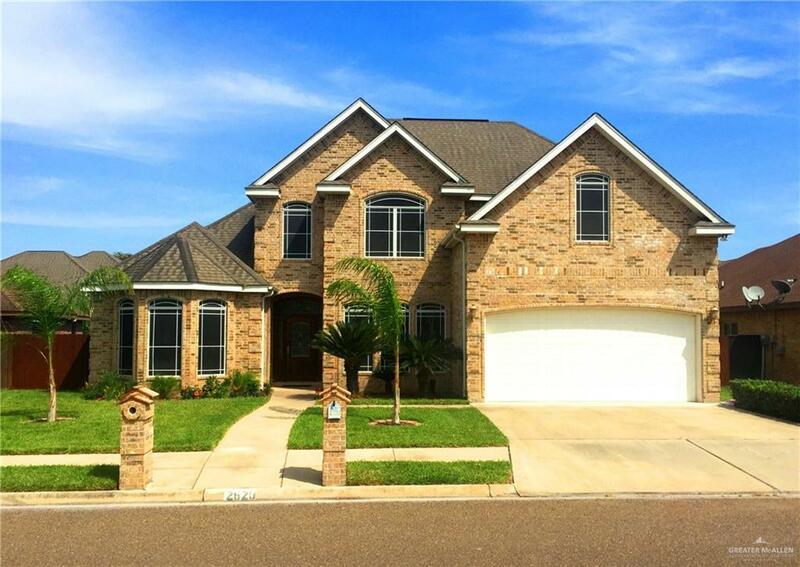 ft., 4 or 5 Bedroom, 4 Bath, Two Story, Executive Home in a Very Safe Gated Community of Edinburg. Bright, High Ceilings with Insulated Custom Ellipse Shaped Windows. Fresh Paint. Beautiful New Kitchen Back Splash Tile with Under Cabinet Lighting and Granite Kitchen Countertops. Formal Dining With Crystal Chandelier. Breakfast Nook w/ Bay Window. Large Bedrooms (Split), Large Closets and 4 Bathrooms w/ Two Living Areas including a Large Bonus Room or can also be a 2nd Master Bedroom / 5th Bedroom. New Water Heater.Extraordinary, 1st Floor Master Suite with Bay Window Sitting Area and Garden Tub w/ Large Walk In Closet including Built-in's. Plus an Outdoor Kitchen with sink under a Covered Patio, perfect for entertaining!! Fully Automatic Lawn Sprinklers. Significant inside storage both upstairs and down. Dual split AC Units (One for Upstairs and One Down) and Solar Screens. Call Listing Agent for Appointment.